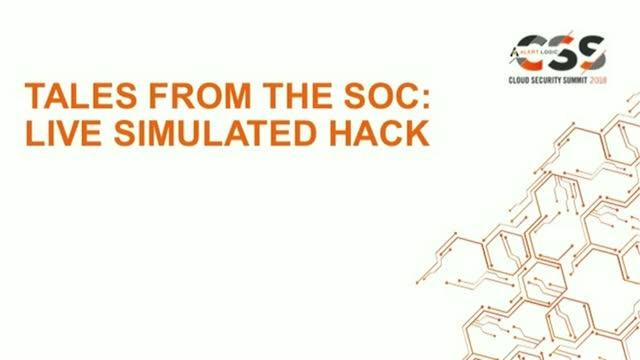 Watch this 3-stages Live Simulated Hack Demo from Alert Logic's Cloud Security Summit as we show you the impact of reconnaissance tactics to identify vulnerable systems. We also demonstrate how easy it is for cyber criminals to gain foothold in remote environments, the latest tricks attackers are using, and what you should focus on to keep data and systems secure. An exciting and very important demonstration for anyone who develops applications, manages websites or is interested in security. Join Graeme McMillan, Alert Logic’s Sales Engineer, as e demonstrated the importance of understanding the risk and your attack surface of your business-critical applications. Make sure to identify high risk areas, before the cyber criminals get there first.